The stern look of famous award-winning actor Samuel L. Jackson is well-known but did you think a dog could have that same menacing look? It even looks like he, like Jackson, is flaring its nostrils! Granted, Jackson is an actor and we know that he doesn’t look like this on a day-to-day basis, however, the same can’t be said for the pit-bull looking dog. Jackson has appeared in over 100 movies- but this dog is hopefully never going to be seen again, the blood-shot eyes look as if he’s staring you down, knows where you live and will probably enjoy harassing you. 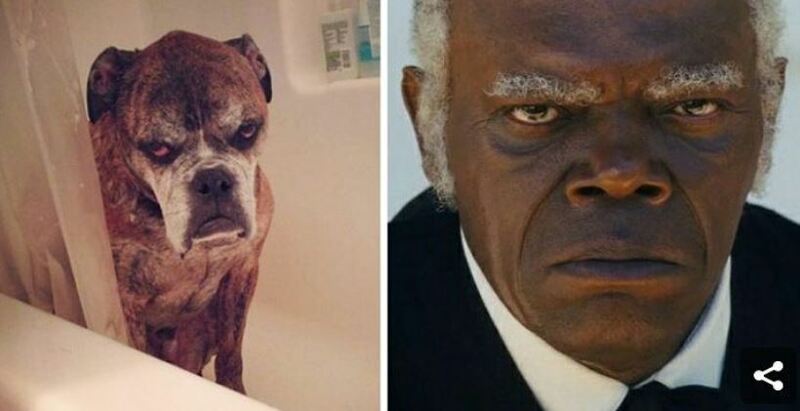 And so, it can be said that Samuel L.Jackson has been known to turn that frown upside down, but that dog looks like he has two levels of emotion, angry and angrier. 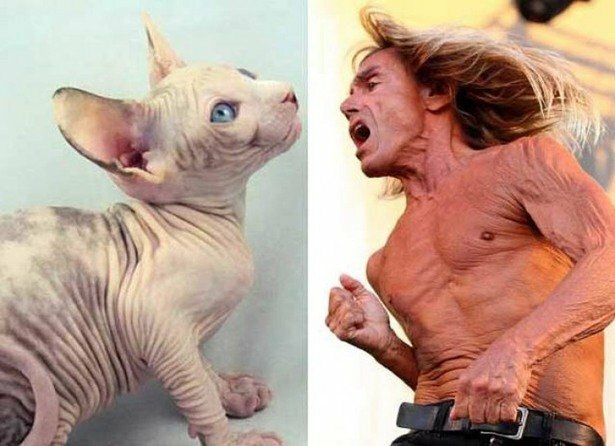 Unfortunately for Iggy Pop, his skin hasn’t held up very well over the years. He looks kind of like a hairless cat nowadays.